← We marched for a future that works! Say no to closure of learning disability homes! Unison members lobbied Brighton & Hove Councillors on Thursday, 25 October at Hove Town Hall against the proposed closure of two homes for adults with learning disabilities. 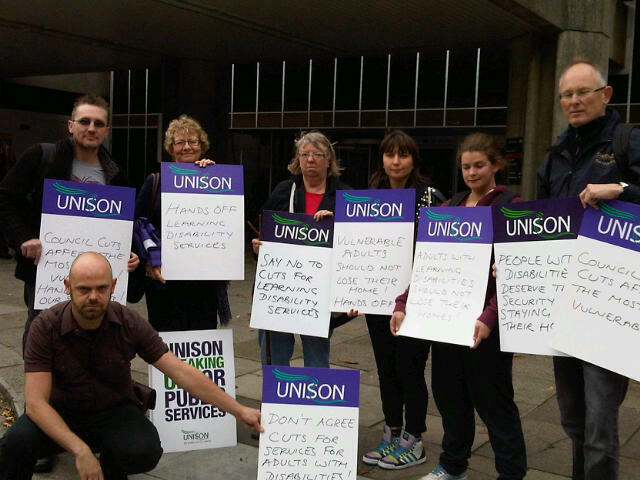 Unison believes this cut would harm services to some of the most vulnerable people in our city. We are calling on councillors to think again and reject the proposals.